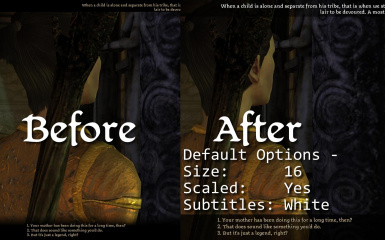 This mod does not work with 4k (3840x2160p) resolution displays. I'm having the same problem. Any luck on your end? Right click exe, properties, Compatibility tab. Go down to "Change high DPI settings" and click. At the bottom check the box that says "Override high dpi scaling behavior" and choose "System" in the drop down menu below. Click Ok, Ok, and you're done. I honestly got irritated and started clicking all the things, and that's what worked for me. Hope it helps! Hi - This might be a stupid question, but I cannot, for the life of me, locate the Configs folder where the FtG_UIMod_Config.exe is supposed to be downloaded to. I would appreciate anyone's assistance with this. I did a search of the DAO folder in Program Files (x86) and my Documents folder > Override, Add-ins where I currently have all mods installed. Thank you in advance! I can't seem to find the Config either, except in the downloaded folder, am I supposed to run the config.exe and then .dazip after configuring it to my liking? I have spend quite some time trying to figure this mod out. I am playing on a 1080p screen using the nVidia control panel to downscale from 4k. One problem is that some mod installer utilities didn't install this correctly. You should check -->in-game<-- under the downloadable content menu that the mod is listed and has a check mark next to it. 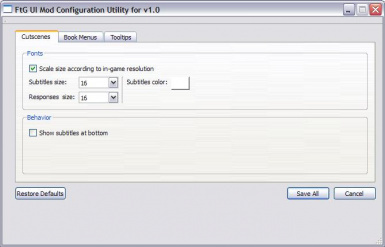 If it doesn't appear in the "in-game" mod list, it is not installed correctly, and use a different utility to install the mod. 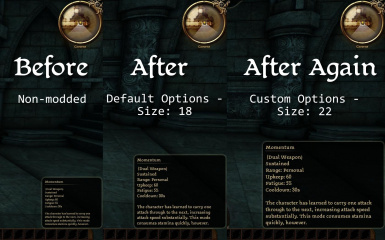 The second issue is that some interface elements are not scaling. 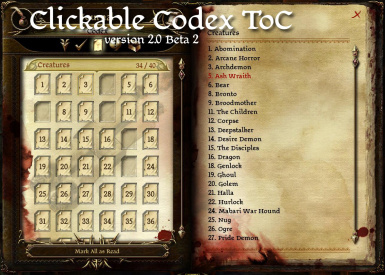 This includes the main menu and some elements like the ability bar and the map. However, other elements are scaling. 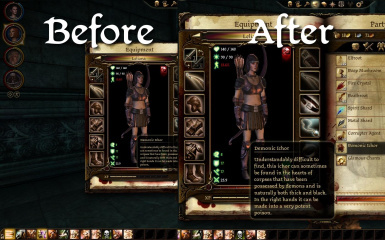 For example, the dialogue in conversations and also the inventory and codex. 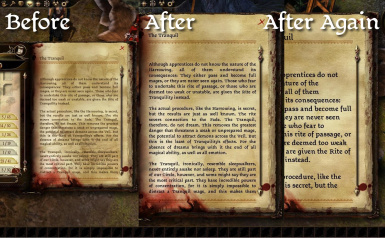 It is unclear if this is a bug, but judging from the screenshots this may be all the mod does. You're right it doesn't scale everything, but it's the only solution for playing the game on 4k. I tried 1080p but everything is so blurry on a 4k monitor. This is impossible to fix. I tried so many suggestions online. No options in nvidia control panel that can fix this. 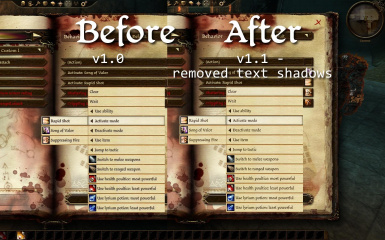 Thank you for this mod, finally I can enjoy playing DA. How to uninstall if I change my mind? New and bigger video card to go with new and bigger computer which goes with new and bigger HD TV monitor resulted in older and blinder human trying to play this game. If you still check the comments FollowTheGourd, I owe you a set of eyeballs because you have saved mine.